We are delighted to announce the publication of the first two articles in volume 1 of the Theoretical Roman Archaeology, published by the Open Library of Humanities. ‘The Value of Studying Roman frontiers’ by David Breeze, and ‘The Construction, Use, and Discard of Female Identities: Interpreting Spindle Whorls at Vindolanda and Corbidge’ by Marta Alberti (Newcastle University/Vindolanda Trust). The volume is guest-edited by Emily Hanscam and Jonathan Quiery of Durham University. 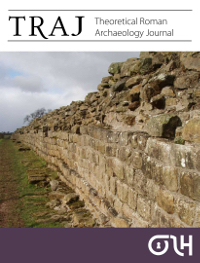 These articles are all available open access on the TRAJ website. More articles will be published soon.